The Tax Cuts and Jobs Act could bring changes to homeownership, as well as the real estate business as a whole. 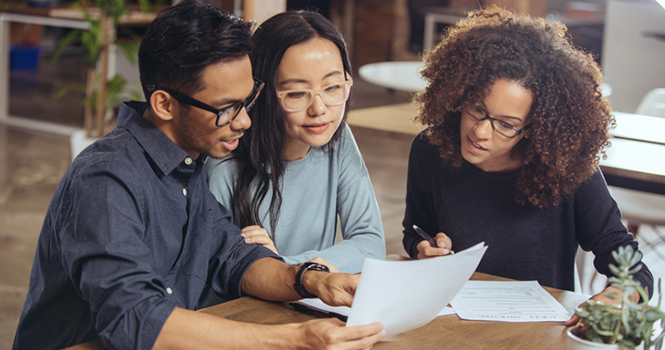 With many of the modifications affecting buyers and sellers, real estate professionals need to approach the subject carefully to reduce the chance of miscommunication. Educating clients on matters outside of the services agents are licensed to perform can be a liability; therefore, agents should direct their clients to a tax professional, instead of providing advice themselves. While agents and brokers need to be knowledgeable about how the new tax law could impact homeowners and prospective clients, they should also be aware of the implications these changes could have when it comes time to file their own taxes. According to the National Association of REALTORS® (NAR), these are the tax policies that could have the biggest impact on real estate professionals. Business owners must have taxable income less than $157,500 for single taxpayers or $315,000 for married couples filing jointly. If business owners make over these income levels, the 20 percent deduction is phased out over a range of $50,000 for single filers and $100,000 for joint filers. “Many agents and brokers who earn income as independent contractors or from pass-through businesses will see a significant deduction on that business income,” said NAR President Elizabeth Mendenhall in a statement when the bill passed. According to various sources, this policy is not clear and heavily depends on how a business is classified: sole proprietorship, partnership, Limited Liability Company (LLC), Single Member Limited Liability Company, C Corporation, Professional or Personal Service Corporation, or S Corporation. Therefore, many businesses may seek reclassification if it helps them lower their tax bill. Brokerages should consult with their tax advisors on how to proceed with future filing and classification. The amount of property qualified for immediate expensing has been increased from $500,000 to $1 million. In addition, the phase-out limitations were increased to $2.5 million from $2 million. Real property definitions have also been expanded to include improvements to nonresidential properties, such as roofs; heating, ventilations, and air conditioning property; fire protection and alarm systems; and security systems. According to Forbes, these changes will allow businesses with less than $25 million in annual sales to use the simpler cash method of accounting instead of the more complex accrual method. The new law states that taxpayers cannot take a deduction if the activity falls under any of three categories: entertainment, amusement or recreation. This also includes any membership dues for business-related clubs or organizations. The deduction’s repeal also comprises charges for facilities used in connection with the above items. The removal of this tax deduction may have a significant impact on the real estate industry, especially since vendor-agent relationships are sometimes formed and continued over a business lunch or dinner meeting. In addition, real estate professionals rely on client appreciation events to keep in touch with their buyers and sellers as a way to obtain referrals or continued business. Taxpayers can, however, continue to deduct 50 percent of food and beverage costs as long as they are tied to operational expenses, such as employee meals or business travel.